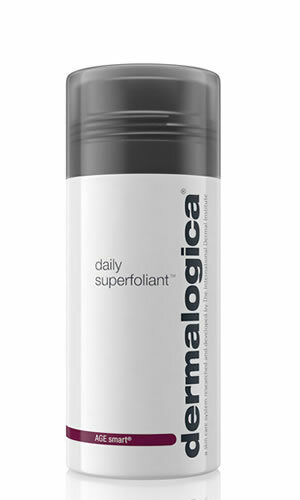 Daily Superfoliant is a highly-active resurfacer that delivers your smoothest skin ever and helps fight the biochemical and environmental triggers known to accelerate skin aging. 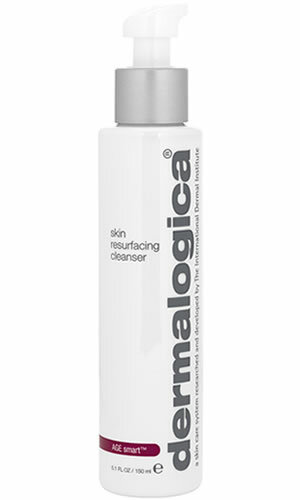 It has an advanced powder formula that activates upon contact with water, releasing powerful envymes and skin smoothing alph hydroxy acids that deep cleanse pores to help remove pollutants trapped in skin. Activated Binchotan Charcoal absorbs environmental pollutants known to irritate skin and accelerate skin aging While Niacinamide Red Algae and Tara Fruit help fight pollution triggers that lead to premature aging. A lightweight, oil-free lotion for daily moisture protection designed to actively combat surface dehydration while smoothing the skin's surface with botanical extracts. A powerful thermal skin polisher that combines physical and chemical exfoliants to designed to help refine skin texture and enhance penetration of age-fighting actives into skin, while advanced technology ingredients condition and treat the skin.